It’s been forever but I’ve decided it’s time to come back to my blog. My main concern was that I’d come back all fed up and gloomy and no one wants to read a blog like that do they? The last couple of months have been really hard as you can imagine. Me and the hubby have thrown ourselves into our work and tried to just get on. We have the added joy of spending every minute with our darling Lola which has really helped. We always got a lot of happiness from our darling pugs but nothing compares with being able to have your pug with you all the time. Lola has settle in nicely to her new routine of being at the studios, she hated it at first and was very unsettled but after a few days she now sees it at her second home and has become the celebrity dog of Yorkshire Artspace. She’s loving the attention! Life has been busy as usual, Folksy keeps me on my toes, my main focus has been PR and marketing as well as managing the new developments on the site. Another Craft Candy fair has come and gone, I really thought this one was going to finish me off but I came out the other side! Then of course there was the frantic making that came along with a Craft Candy fair. I’m sure it would be much less stressful if I wasn’t try to have a stall and organise the event but then that wouldn’t be any fun would it? I love a challenge! The fair was our busiest yet which was a huge relief. 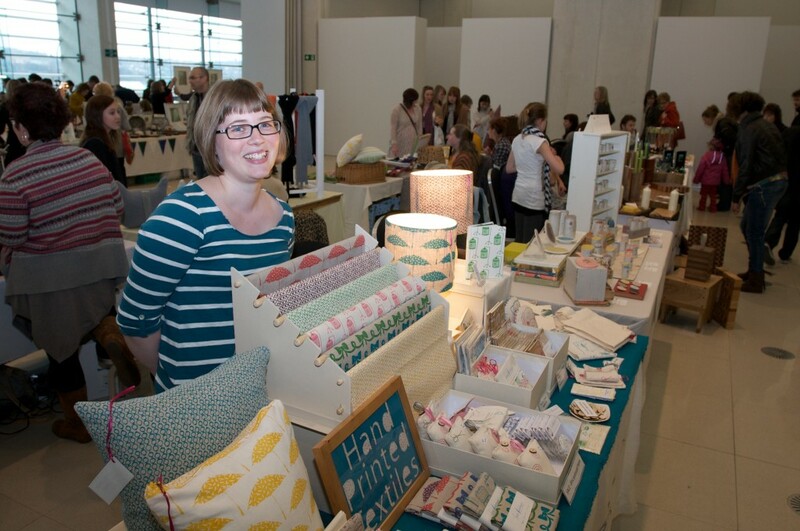 In the (brace yourself for a very overused and annoying phrase) ‘current economic climate’ it’s always a concern that people see Craft purchases as the bottom of their priorities and therefore wont actually come to the event but we worked our arses off and over 2000 lovely people came. The stall holders all seemed very happy as usual and we got some great feedback. Now it’s all steam ahead for the next event on the 16th July. I remember in the early days of these fairs (this is the 7th I’ve organised over the past 3 years) that I used to have 2 weeks off after a fair before we opened up applications and jumped straight back in, I don’t bother now so it’s straight back to work. I managed to get a few new designs together as well as a new product, a lampshade kit. I’ve found these fantastic kits which look so professional when they’re made, and they only take about 10 minutes to put together. I decided to trial them at the fair and I got a great reaction to them so they are now available in both my Folksy and Etsy shops. 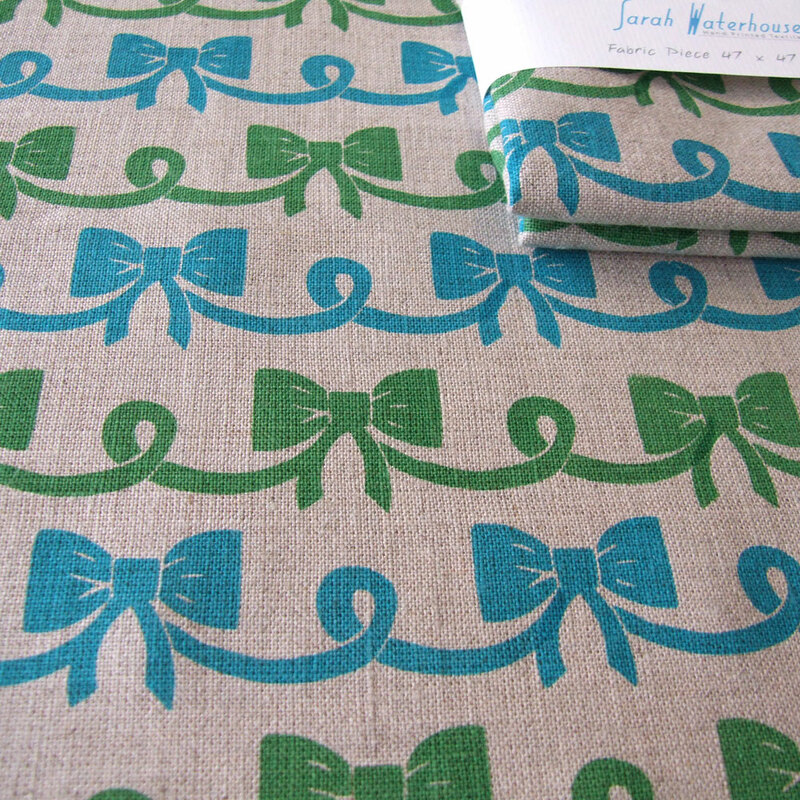 My new fabric design Bows got a lot of attention too which was great. It’s my first 2 colour print, something I’ve been meaning to do for so long. It’s also available in both my online shops. Please do let me know if you like it! 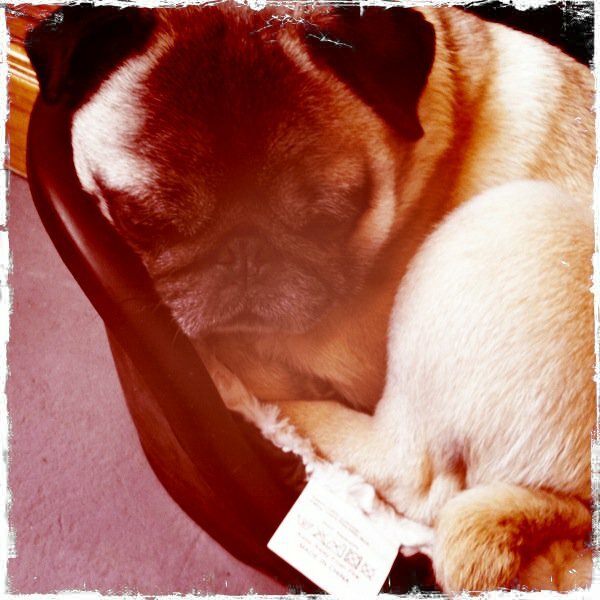 **hugs** Lola looks so sweet in her basket!